In today’s world we all have Google, Facebook and twitter account, Most of these social media accounts has all you personal info and visible for most of the other users. If you are not comfortable to share your personal info with other and want to deactivate or deleted your accounts so no one can access your personal info. Today in this post we will show you how you can easily delete most of your social media accounts and other web accounts in simple and easy steps. With this way you will remove all your personal data from the web and secure your privacy on the internet. So read the bellow mention tutorial on how to permanently erase your Google, Facebook and Twitter Account. Please keep in mind that after this you will not reactivate your account or get back your data. So if you are interested then follow the guide. Google has lots of web services which you will use your personal Google account. 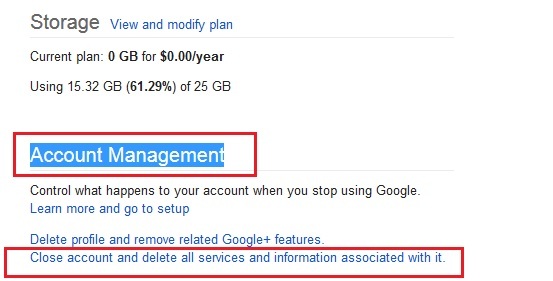 Once you deleted you Google account you will lose all you email, G Drive files, Contacts, etc, So be careful and take the backup of your important data and then follow the guide. 1. Login to your Google account with your Email ID and password and visit this link to delete your account. 2. On this page you will lots of option like Email, Phone number, Language and Account Management. Go to the “Account Management” option and here you will see the click “Close account and delete all services and information associated with it.” to proceed. That’s it, your Google account is deleted. Twitter works same like the Facebook, once you deleted your account, they will wait for the next 30 days and then it will be permanently deleted. If you want to reactivate your account, login with your ID password again reactivate your account. Visit this link to permanently remove your twitter account. 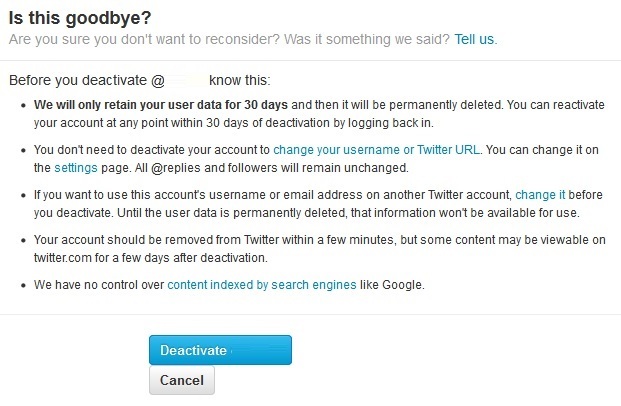 Click on the blue “Deactivate: button to remove your account. No you account is deactivated and after 30 it will be permanently disabled. 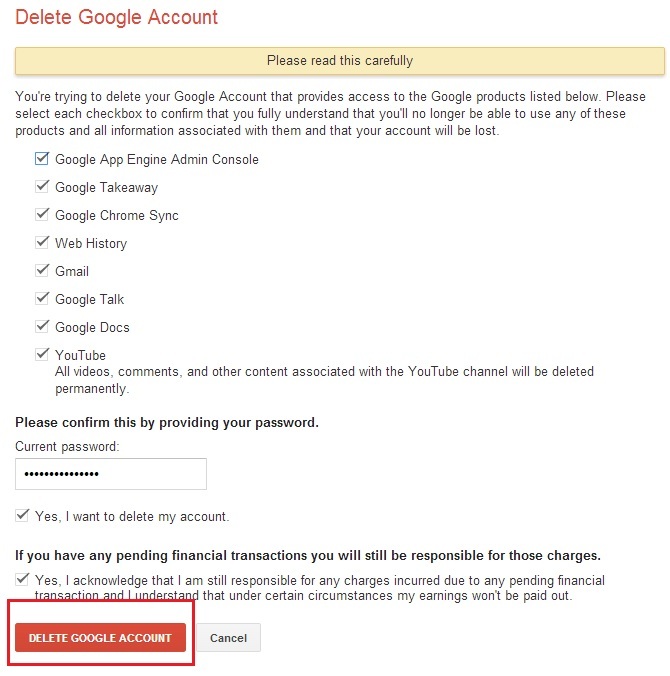 If you want to remove you other account like Yahoo, WordPress, AOL, Outlook, Pinterest, Instagram, About.me, Flickr, Digg etc then read our complete guide How to Delete Web account here.